Preventing humanitarian atrocities is becoming as important for the United Nations as dealing with inter-state war. 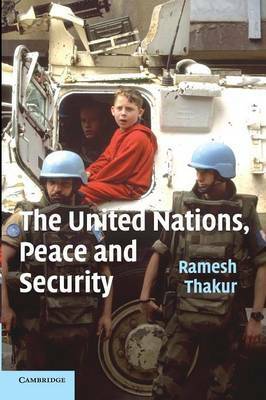 In this book, Ramesh Thakur examines the transformation in UN operations, analysing its changing role and structure. He asks why, when and how force may be used and argues that the growing gulf between legality and legitimacy is evidence of an eroded sense of international community. He considers the tension between the US, with its capacity to use force and project power, and the UN, as the centre of the international law enforcement system. He asserts the central importance of the rule of law and of a rules-based order focused on the UN as the foundation of a civilised system of international relations. This book will be of interest to students of the UN and international organisations in politics, law and international relations departments, as well as policymakers in the UN and other NGOs.